Development of the Defender Mobile Field Force / Riot Control Comms Systems shortly after the 2015 Baltimore riots in an effort to address the obvious inability or law enforcement operators to communicate in a riot. Three systems were developed to include "Line Operators"(listen only), "Team Leaders" on the ground (connection to a single radio to monitor and issue instruction along with "Command / Over-watch" (connection to two radios - allowing for dual comm RX/TX to both ground operators as well as those positioned outside the conflict in a Command vehicle. Pictured is the "Defender Team Leader" inner helmet mount headset with speaker for RX and noise canceling boom for TX. 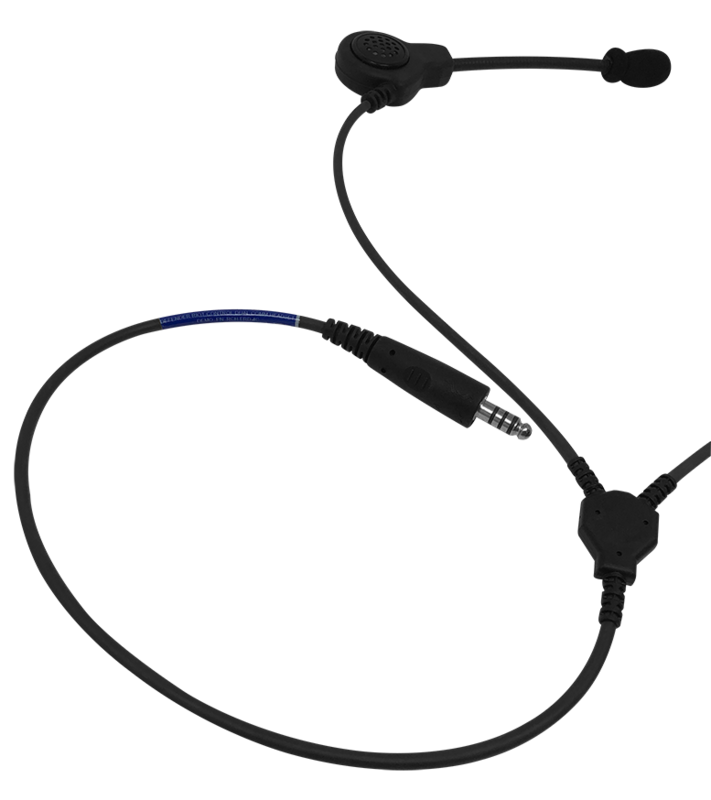 Variants include the "Line Operator" system which is listen only and looks exactly like the pictured system but the boom microphone is not included. 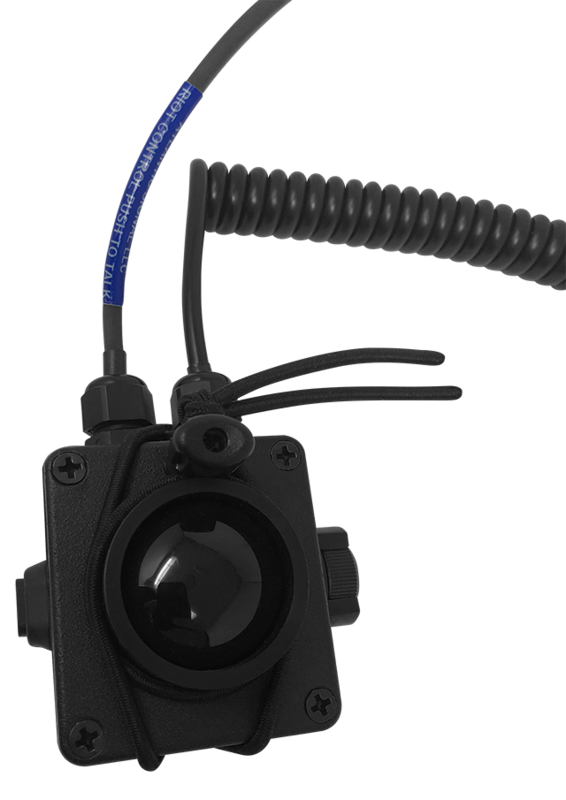 The third variant is the "Command/Over-Watch" system pictured below coupled with a second speaker which mounts on the opposite inner side of the end-user's helmet. This system allows for dual comms between the wearer and line operators (issuing instruction) as well as a Command Post off-site. The "Command/Over-Watch" Defender model partially shown here includes a noise/canceling boom microphone that mounts inside the helmet coupled with a second speaker-only that mounts inside the helmet on the opposite side - pictured below. 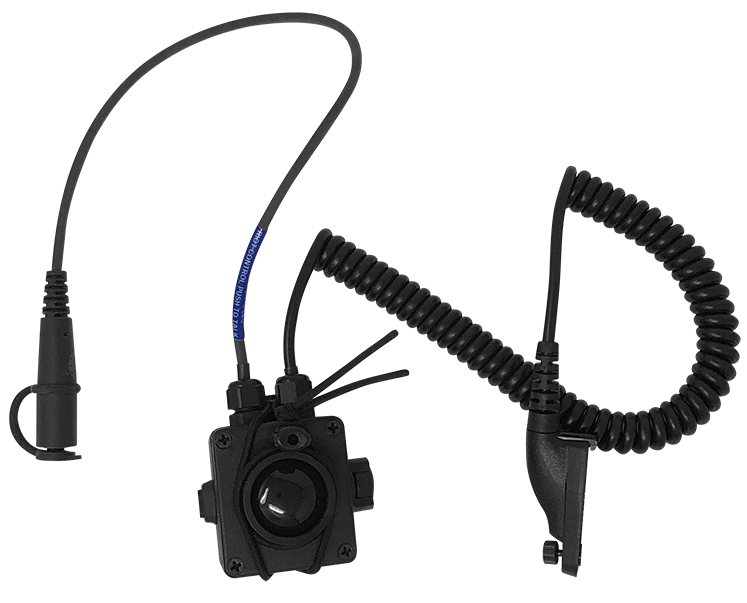 Command / Over-watch Defender Comms System - dual helmet mounted speakers to monitor two radio frequencies simultaneously, noise canceling boom microphone, dual comm PTT allows Command to stay in touch with both Team Leaders and Line Operators. A smartphone capability adds a third potential source for communications as well. 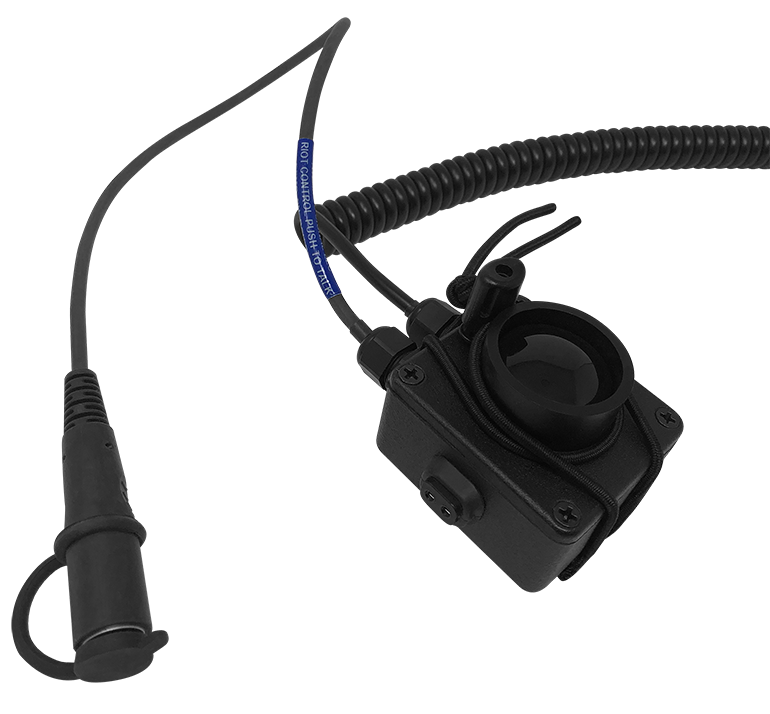 Both the Atlantic Signal Avon and Scott FRR mask comms cable kits are designed to work in concert with the Command / Over-watch Defender solution. This system can be built for all law enforcement and military portable radios. Pictured is the "Defender Line Operator" listen-only system. This connects to an inline housing with no push-to-talk ultimately connecting to the department's field issued portable radio. 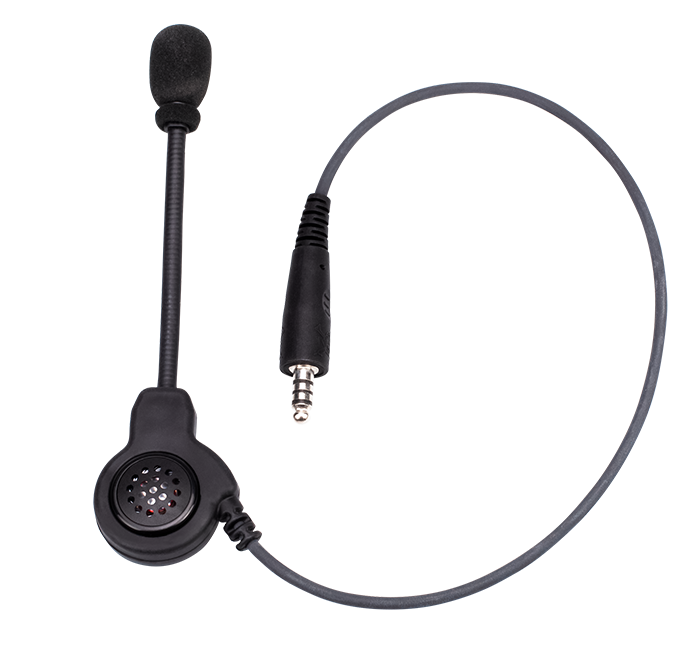 The Defender "Line Operator" system does not require a push-to-talk. The system was designed as a "Listen-Only" device - allowing both Team Leaders and Command - Over-watch personnel to give commands and/or other crucial information. The Defender "Line Operator" system includes a direct connection to the individual's portable radio. 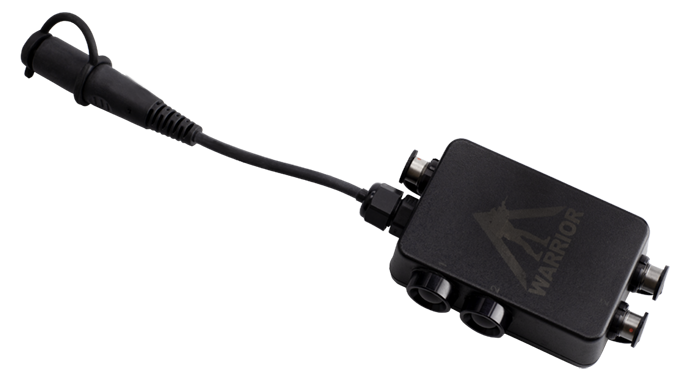 Both the Atlantic Signal Avon and Scott FRR mask comms cable kits are designed to work in concert with the Command / Over-watch Defender solutions. This system can be built for all law enforcement and military portable radios. Pictured - the Defender system push-to-talk which can be purchased in both single and dual comm models. Rather than a small. 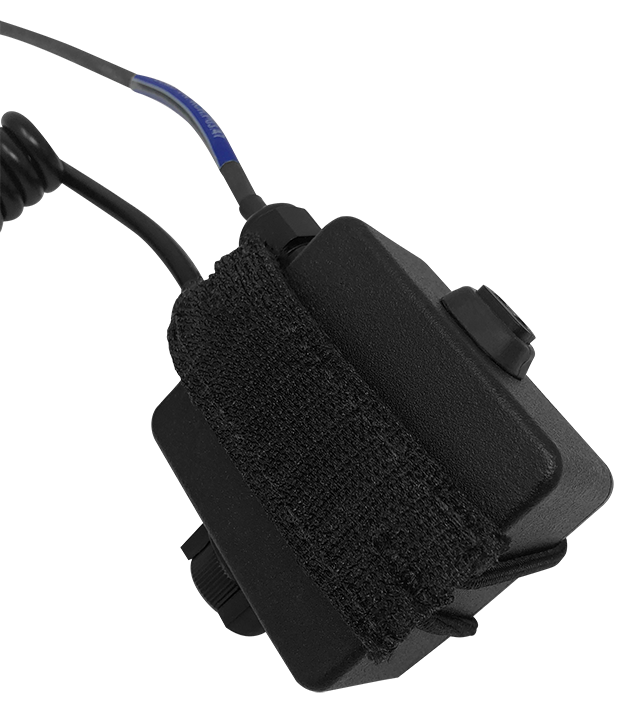 side mounted switch, the Defender system PTT features a 1.25" front mounted actuation switch with or without a protective shroud. A side mounted remote radio volume control is standard. 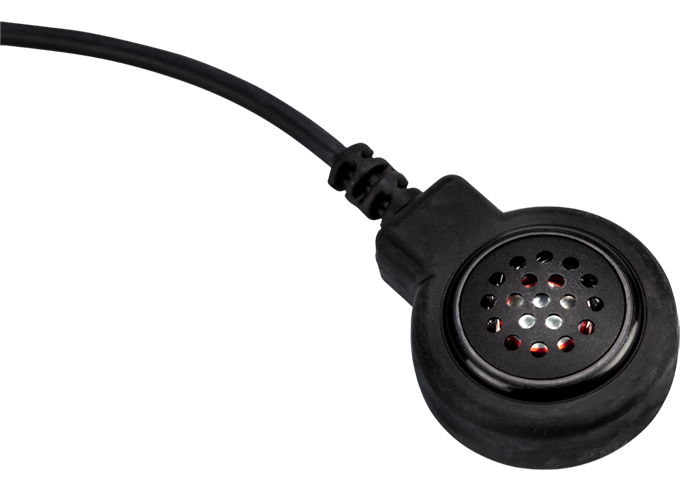 The Defender PTT system also includes a 2 pin connection port for AVON brand breathing apparatus comms connections. 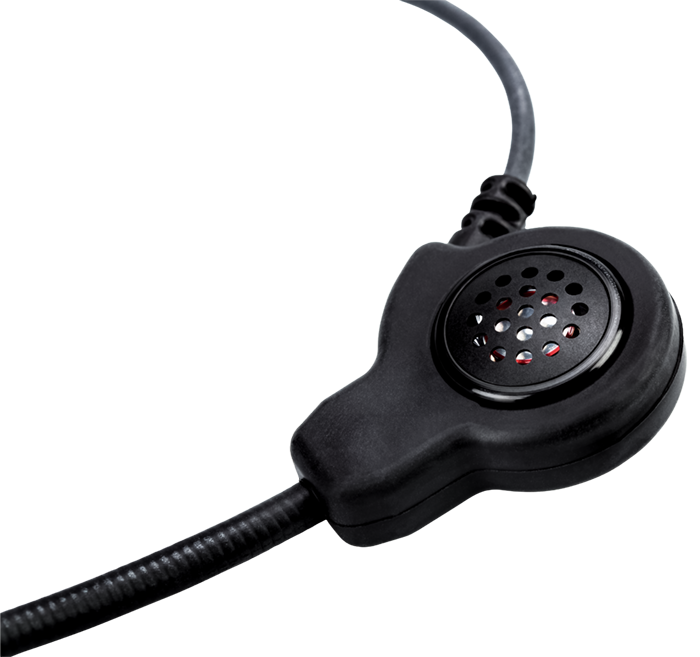 This connection between the PTT and mask contains special circuitry that, when the PTT button is depressed by the operator, disables the Defender's boom microphone - using only the microphone assembly inside the Avon mask. This prevents the wearer from transmitting environmental noise during operations. 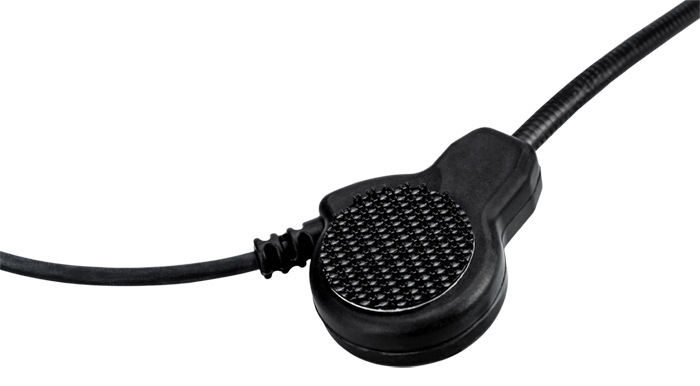 The Warrior Push-to-Talk was designed for use with the Defender Command - Over-watch system. 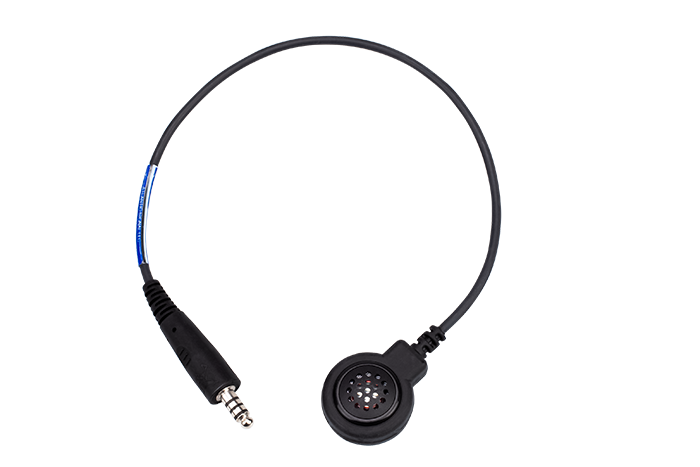 The PTT allows a user to plug and play cables as needed depending upon circumstances. Options include dual comm RX & TX on two different frequencies (i.e. communicating with Team Leaders and giving commands to Line Operators. A third comms option is available -- allowing for direct connection to a smartphone - providing up to three separate lines of communication simultaneously. 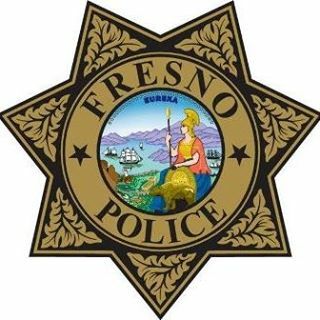 Good afternoon Tyler -- not too long ago you assisted me with a purchase of helmets and headsets for my SWAT team here at Fresno PD....Everything is still working and the guys are still very pleased with the gear. You had your shop build a remote antenna mast for our not so great Harris Unity radios...I was hoping to purchase one for myself. This would be a personal purchase, not through the department, but for work purposes. Is that possible?